Happy Birthday Cynthea, hope you have a stellar day!! 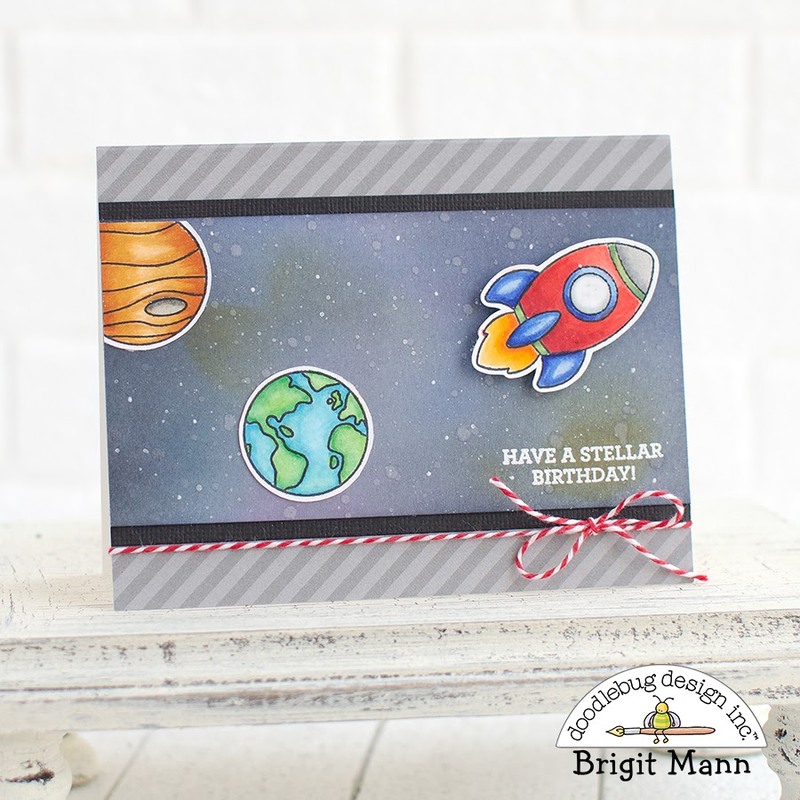 I used Doodlebug's Far Out stamp set and dies along with Beetle Black Textured Cardstock and Stone Gray Dot-Stripe Petite Print. The background was created using some distress inks and white paint splatter. I finished off the card with some Doodlebug ladybug Twine.